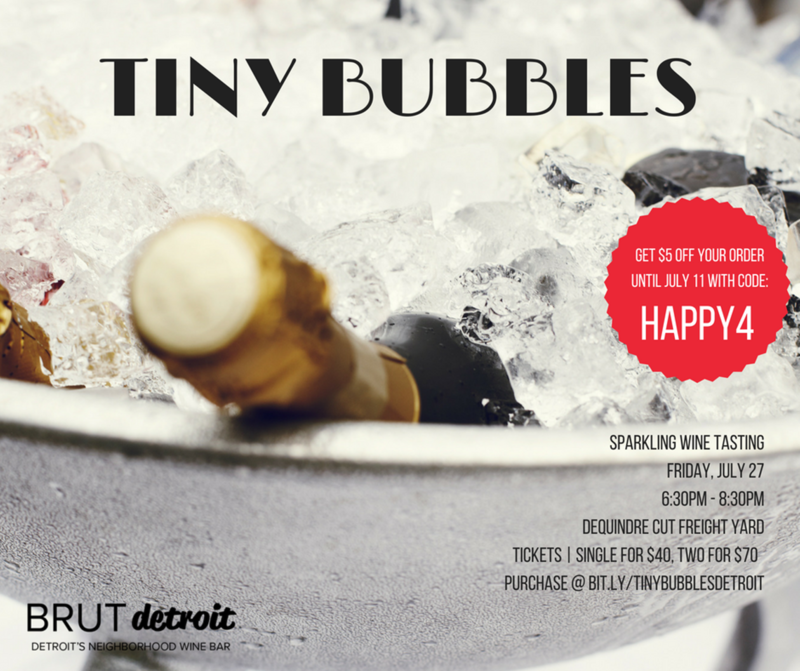 Join Brut Detroit for a sit-down wine tasting of five sparkling wines all originating from small, boutique wineries from around the world. Little Guy Wine Representative and Sommelier Lori Moss will walk you through each wine, sharing a bit about the winery's story as we taste the fruits of their labor, which sometimes span generations. Come discover, learn and toast with new friends. Light appetizers will be provided.